We’d like to thank Lisa for sharing this story. I went to see a play at A.C.T. 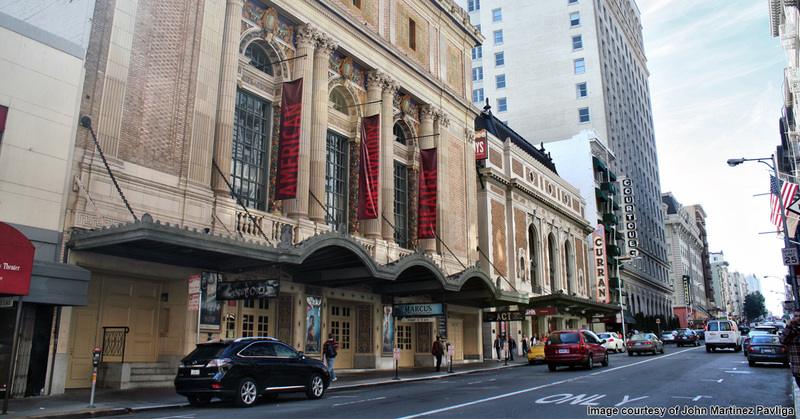 (American Conservatory Theater) in San Francisco, sometime in the early 80’s. Standing in line to get something to drink at intermission, I noticed the man standing in front of me wearing plastic flip flops, tweed jacket with patches on the sleeves, and plaid shorts – a rather unkempt outfit for a theater patron in San Francisco in that era. Mr. Murray turned around and apologized for his rude behavior, then asked me if I would like something to drink. I said yes, I would like 3 drinks. He asked if I was here with anyone, to which I told him, “Yes” and that I’d planned to bring the drinks up to my friend waiting for me upstairs. He asked me if I was enjoying the play. It turns out his girlfriend was in the production and that he was enjoying it as well. I thanked him for the drinks, never acknowledging that I knew who he was. I saw him at the end of the play when I was leaving with my friend; he gave me a wink and I waved to him. I have always admired his work in movies and am a huge fan! My husband, who has caddied for him when he played at a club in San Francisco, says he is the nicest and most grateful person.